Home > Setting Up a Charity > The Three Charity Types: Which is Right for Me? Setting up a charity can be a confusing task. 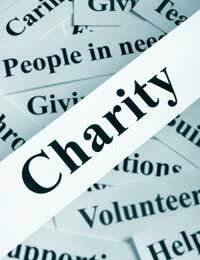 There is a range of different types of charity, each of which is suitable in a different circumstance. Deciding on a trust type is one of the first tasks facing you. This decision will have wide-ranging and long-lasting implications, so it is important that you get it right. An incorporated association is more commonly known as a private limited liability company. The ‘private’ part means that the public is not able to buy shares in the company; they are instead held by a small number of individuals. There might, in fact, only be a single shareholder. You might choose an incorporated association for a number of reasons. Primarily, a limited liability structure protects you, as a director, from liabilities arising from the charity’s activities. So, if the company takes out a loan which it then defaults on, you will not be held personally liable. A limited liability structure can also make it significantly easier to deal with suppliers and contractors. For example, many wholesalers will only deal with limited companies. This structure is also probably the right choice if you anticipate that you will employ people. You should remember, though, that directors of limited companies take on a range of important legal and financial responsibilities. You must make sure that you understand those responsibilities in advance. Unincorporated associations take their name because they are not incorporated at Companies House. As a result, the paperwork burden associated with running an unincorporated association is significantly lower. You do not, for example, have to file annual company accounts. Unincorporated associations decide amongst themselves how they will operate. They formulate a constitution and, if there are members, a committee is elected to tackle the day-to-day tasks associated with running the association. This format is generally preferable if the organisation has relatively small asset holdings, and if you do not anticipate that you will have to enter into contracts with suppliers or other parties that might prefer to deal with a limited company. Trusts are a useful but often overlooked format for charities. There seems to be a common misconception that trusts are only ever large organisations with lots of assets, but this is not necessarily the case. Trusts are often useful in cases where the purpose of the organisation is to give grants to other organisations or individuals. This format can also be desirable if it is necessary to have very specific guidelines about how much is to be spent and where that money is to go. In these cases, the actions of the trustees can be governed by rules set out in the trust document. Trusts are relatively simple to set up, although it is important that the trust document is properly worded. For this reason you will need to seek legal advice. As can be seen, the range of different formats by which trusts might operate can be confusing. You should remember, though, that whatever the nature of your organisation, there is a format that is right for you. Hi, I have been thinking about trying to set up a charity after struggling mentally over the last 20 years. I have read a great deal into this but only when reading this page have I decided what would be the best way to go. So a trust it is. Thanks for the help.